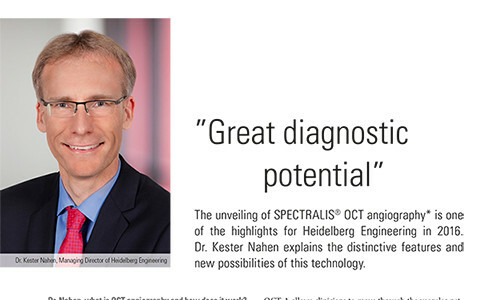 Dr. Kester Nahen, Managing Director of Heidelberg Engineering, explains in this interview the diagnostic potential and limitations of OCT angiography. 13th International SPECTRALIS Symposium 2015 in Valencia – videos now available online! Record numbers attended this year’s International SPECTRALIS Symposium (ISS). 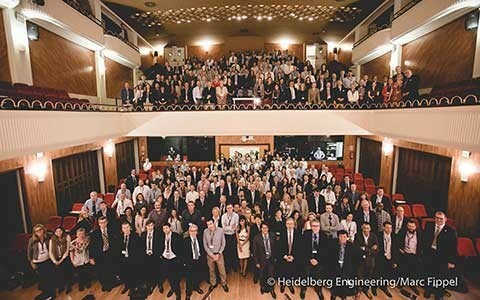 More than 400 participants from 49 countries accepted an invitation from the Heidelberg Engineering Academy to the 13th ISS in Valencia, Spain, held on October 16 and 17, 2015. 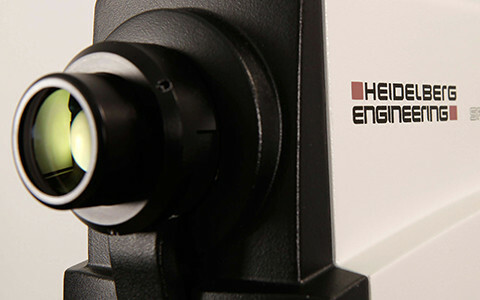 Heidelberg Engineering attended the congress of the German Ophthalmologists’ Society (DOG) in Berlin from October 1-4, 2015. The overarching motto of this year’s event was basic research and cross-disciplinary cooperation. 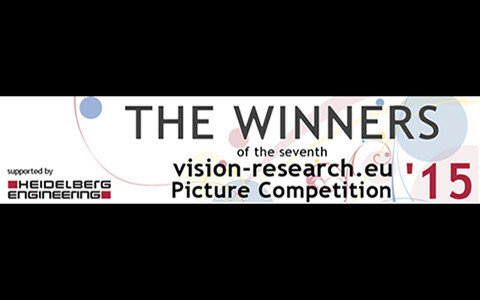 The European Vision Institute (EVI) announced the winners of its 7th Picture Competition in Vision Research & Ophthalmology. 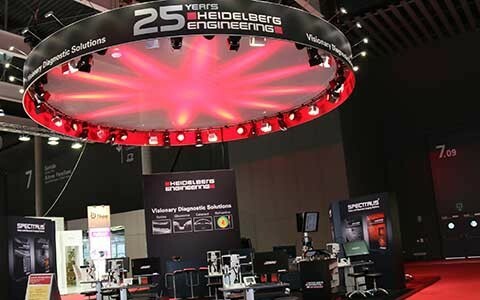 Heidelberg Engineering has supported this competition since its first edition in 2009. 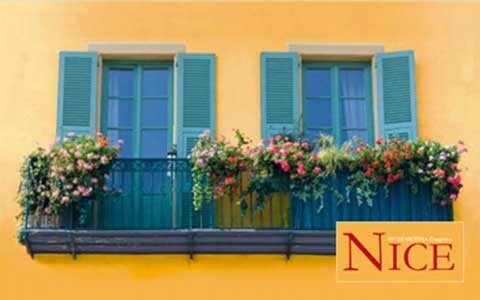 The Heidelberg Engineering team will be happy to welcome you at the 15th EURETINA Congress hosted by the European Society of Retina Specialists in Nice from September 17-20, 2015. 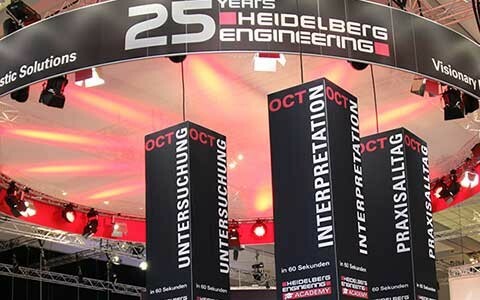 Heidelberg Engineering’s booth will be M106, located at the Hall Meditérranée. A recent cover article in Ocular Surgery News, Monitoring long-term effects on vision in microgravity a priority for NASA’s future flight to Mars, highlights NASA’s initiative to understand vision loss due to microgravity. 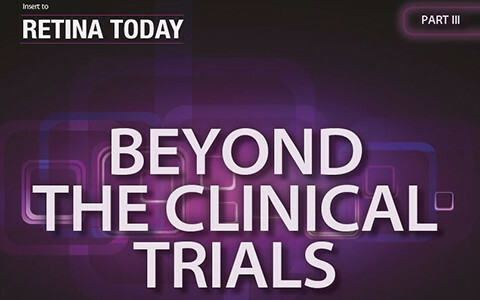 The complex nature of glaucoma presents doctors with unique challenges. The SPECTRALIS expandable diagnostic imaging platform offers several unique tools helpful in both early and advanced glaucoma. OCT Angiography (OCT-A) has the potential to augment, and in many cases, replace traditional methods of examining the retinal and choroidal vasculature – once certain technical challenges are addressed. The number of patients with diabetes is increasing all over the world. As this disease is associated with sight threatening problems such as diabetic retinopathy and diabetic macular edema, eye care professionals play a pivotal role in managing these patients.